Some neighbors and preservationists fear the 116-year-old building, a former synagogue at 3228 W. Palmer St., will be demolished in favor of a for-profit development. LOGAN SQUARE — After serving the community for more than 60 years, the Logan Square Boys & Girls Club is leaving its longtime home. Exactly where it will land when it leaves its West Palmer Street headquarters by the end of the summer is not exactly clear. What will happen to the historic building is also uncertain. Some neighbors and preservationists fear the 116-year-old building, a former synagogue at 3228 W. Palmer St., will be demolished in favor of a for-profit development. “Our primary concern going forward is and has been that this important piece of neighborhood history, both the memory of the Jewish community here and the longtime commitment of the Boys & Girls club not be needlessly erased by the loss of the buildings on that corner,” Andrew Schneider, president of Logan Square Preservation, said in a statement. Addressing those fears, Ald. Scott Waguespack (32nd) introduced an ordinance Wednesday that would rezone the property so it’s “more consistent with the prevailing residential zoning” in the area, according to his chief of staff, Paul Sajovec. Current zoning allows for a two-flat, multi-building or townhomes. Waguespack’s proposed zoning would only allow for a single-unit detached house. If the measure passes City Council, any developer hoping to build anything larger than a single-unit detached house on the site would need to get a zoning change, which would require support from the alderman and could take up to three months. In essence, the ordinance gives the alderman, and ideally the community, more control over redevelopment of the site. “This would not thwart a project to add residential units on the site, but simply limit the number of residential units that could be developed on the site,” Sajovec wrote in an email. There are no development proposals currently in the works. The Logan Square Boys & Girls Club dates back to 1948, when it opened in the old Shakespeare police station. In 1955, the organization moved to its current building, where it’s served Logan Square, Avondale and Humboldt Park families ever since. Part of the citywide network, the Logan Square outpost offers an array of after-school programming, activities and services. An annual membership costs just $20. “This is one of the gems [in] our community,” said longtime volunteer Rosita De La Rosa. 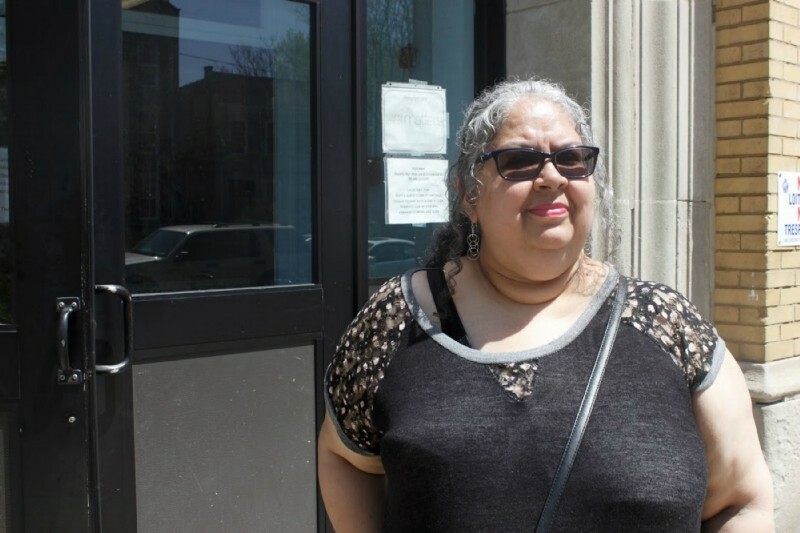 De La Rosa, who has lived in the neighborhood for about 35 years, said she used to teach people with developmental disabilities at the club, and she was often amazed by how accepting students were of one another at the club. “You don’t find places like [the Boys & Girls Club] anymore. They’re all dying,” she said. Rosita De La Rosa, a longtime volunteer at the Boys & Girls Club. The organization is planning to vacate the building by the end of the summer, which means summer programming won’t be affected, according to Holly Allen, vice president of external affairs for the Boys & Girls Clubs of Chicago. Allen stressed that, ideally, there will be no lapse in services because the organization is planning to open a replacement facility in the fall. It’s unclear if the new facility will be in Logan Square or a neighboring community, as the details haven’t been finalized yet, but Allen emphasized that serving Logan Square families is a priority for the organization. The organization chose to move out of the current building not only because of the building’s age, but also because there are a lot fewer at-risk students and families in the area than there were when the club moved in, according to Allen. “We’ve been looking at what makes the most sense for us, where we can serve the most kids, and we realized that the club is not in an ideal location,” Allen said. The closure is a huge loss for parents like Lazaro Garcia, 25, who has been sending his nine-year-old daughter, Jaylie, to the Logan Square Boys & Girls Club for about eight months. On a recent afternoon, Jaylie rattled off a list of reasons why she loves the place. Garcia said he’s considering moving his family out of Logan Square, partly to be closer to his job, but also partly because “there [are] no other places” that offer the same kind of child care in the neighborhood. Allen, the Boys & Girls Club Chicago spokeswoman, couldn’t immediately say how many students are currently enrolled at the Logan Square outpost. The director prevented a Block Club Chicago reporter from interviewing more students.